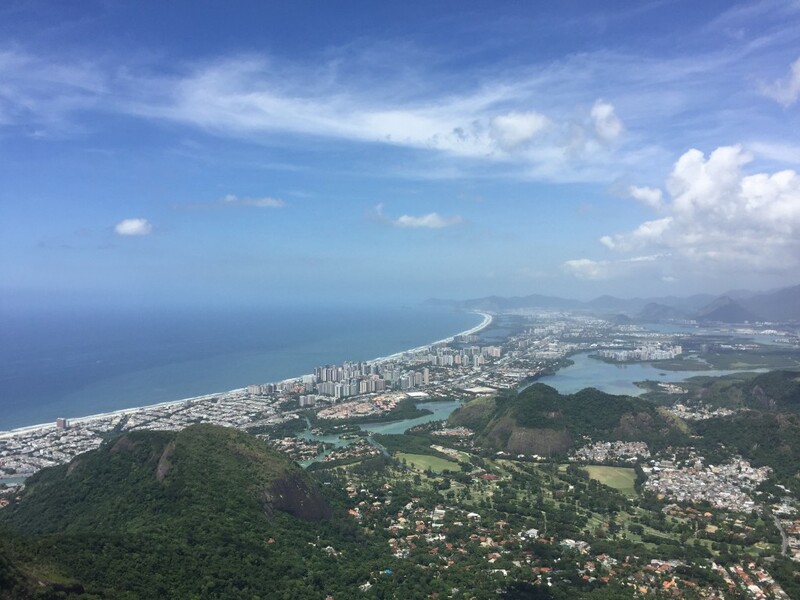 Sunshine, beaches, beautiful people, and the upcoming Olympics – these might constitute a typical first impression about Brazil. 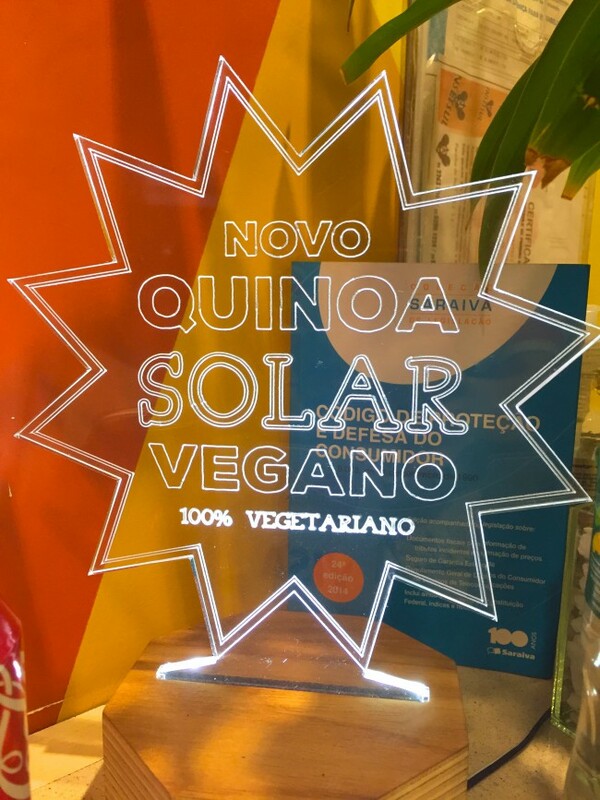 However, did you know that veganism is slowly becoming main stream, and there’re more and more vegan/vegetarian places in Brazilian cities? 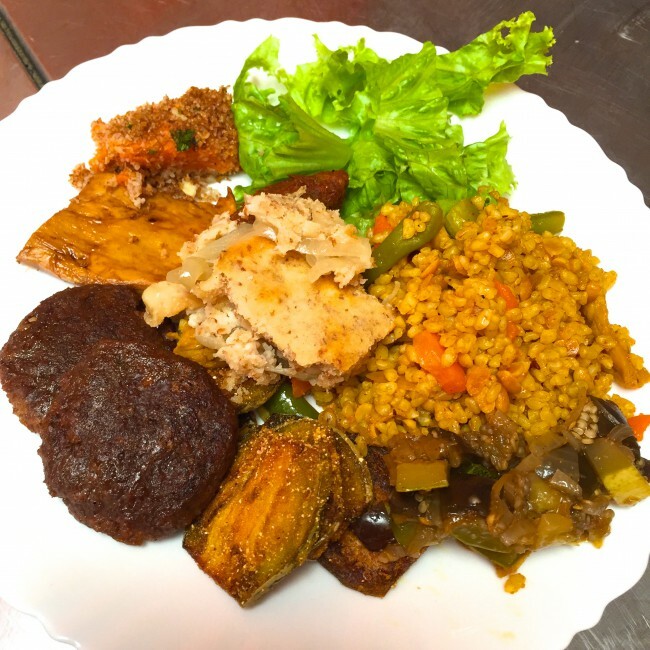 What do vegetarians and vegans eat in that part of the world? 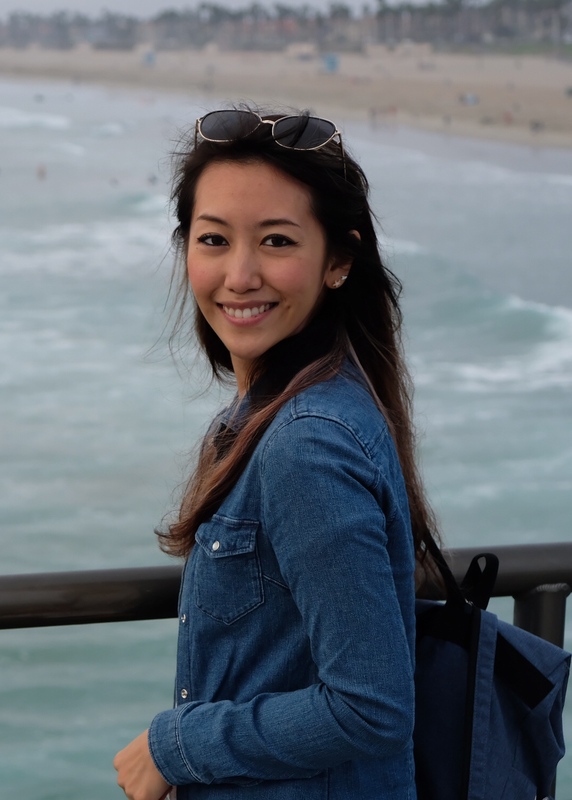 I was fortunate enough to be able to live in Rio de Janeiro, the former capital of the country, for a month. 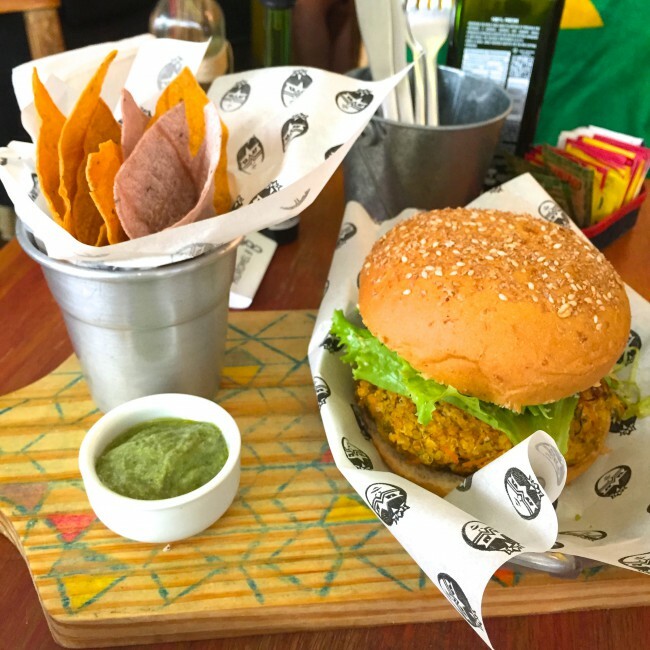 The following list is my selections for any foodie who doesn’t want to miss out on the vegan delicacy Rio has to offer. This restaurant is the best of the best. It’s my favorite. 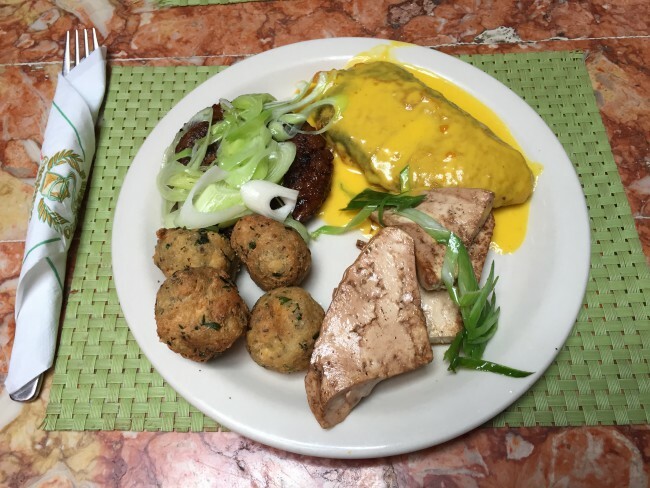 They have a fixed daily menu, and a set meal includes a soup and an entrée. You can choose to add vegan protein powder to your juice. 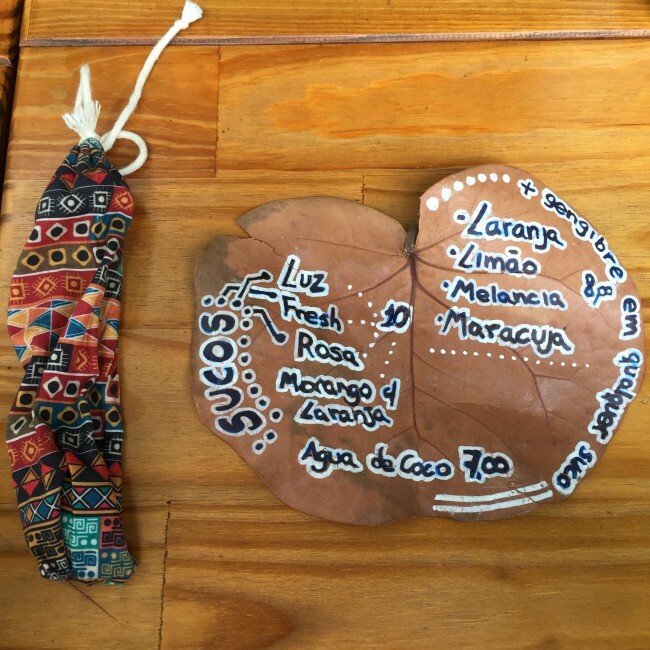 The menus are all written on leaves, and the owner of the restaurant is a hippie-looking vegan. 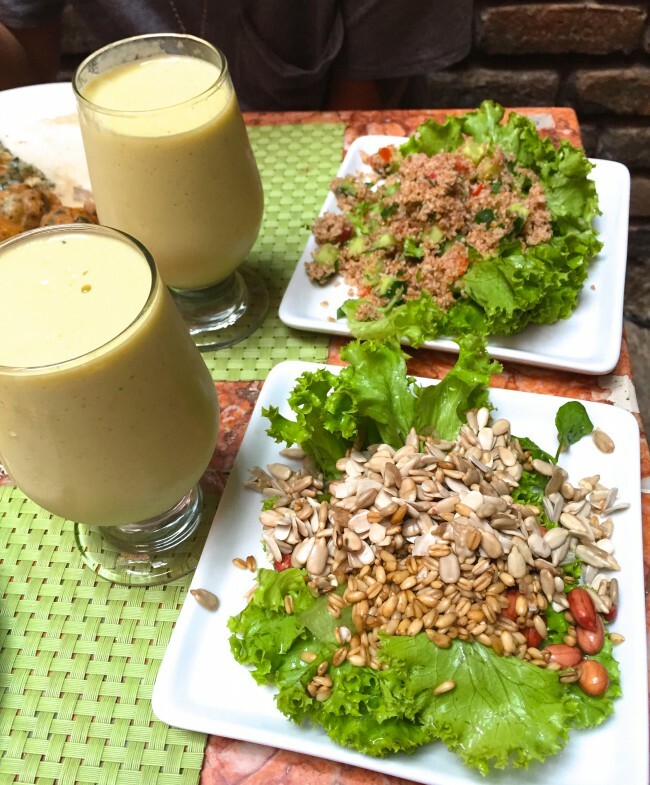 After hiking and swimming at the nearby Pedra da Tartaruga, you’ve got to come here to enjoy an energizing vegan lunch! This place looks simple and patrons are usually locals. The waitress was even a bit surprised to see someone like me, who didn’t speak Portuguese at all. 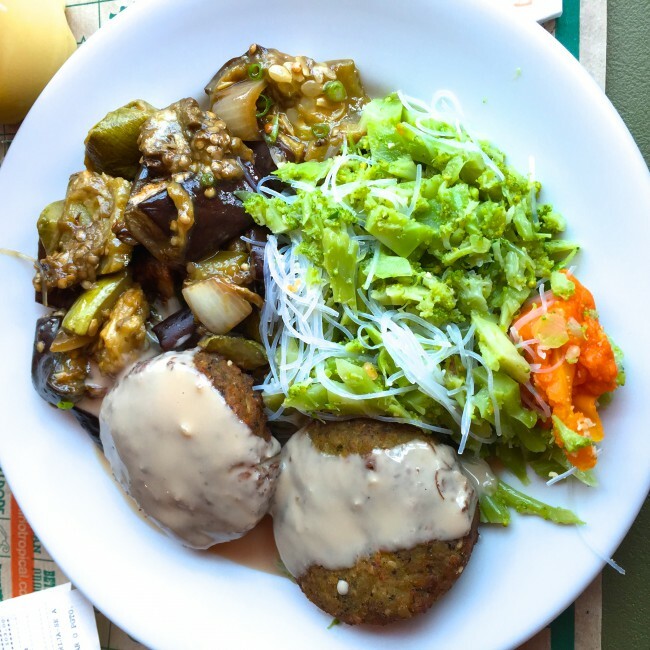 It’s a pay-by-weight buffet style restaurant with vegan cakes. I was attracted by the interior design of this organic restaurant as soon as I walked in. 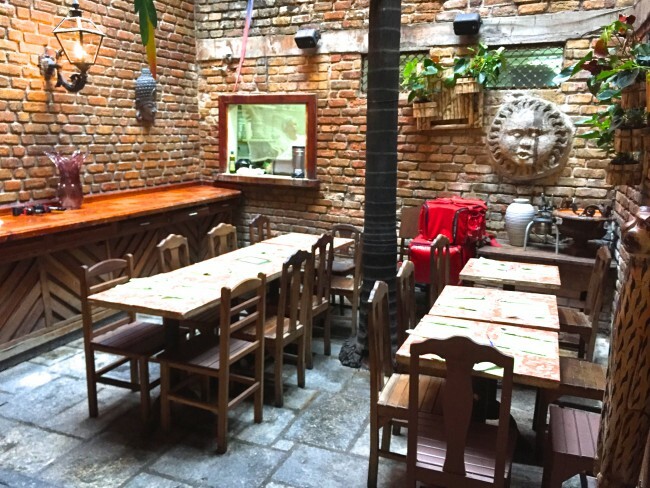 You pay by the number of dishes you order – for example, 5 dishes cost about 35 RMB (1 Brazilian Real is about 1.62 RMB). 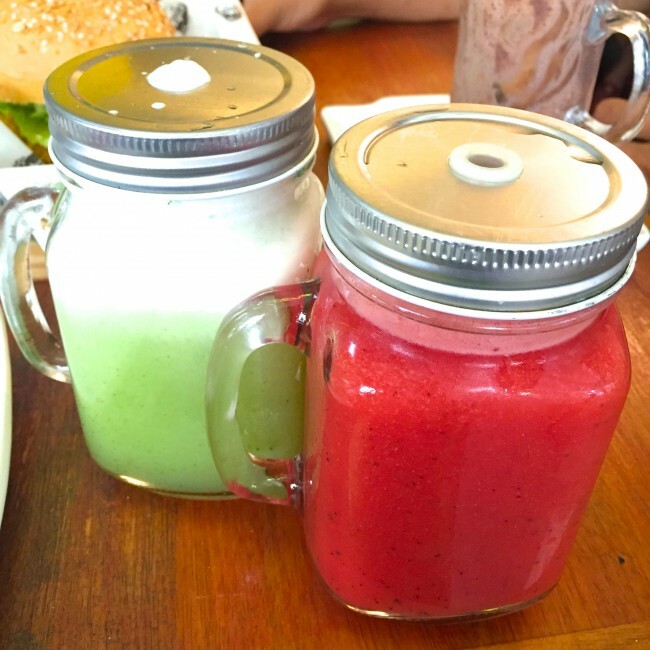 There’s an abundance of dishes with various juices and smoothies. 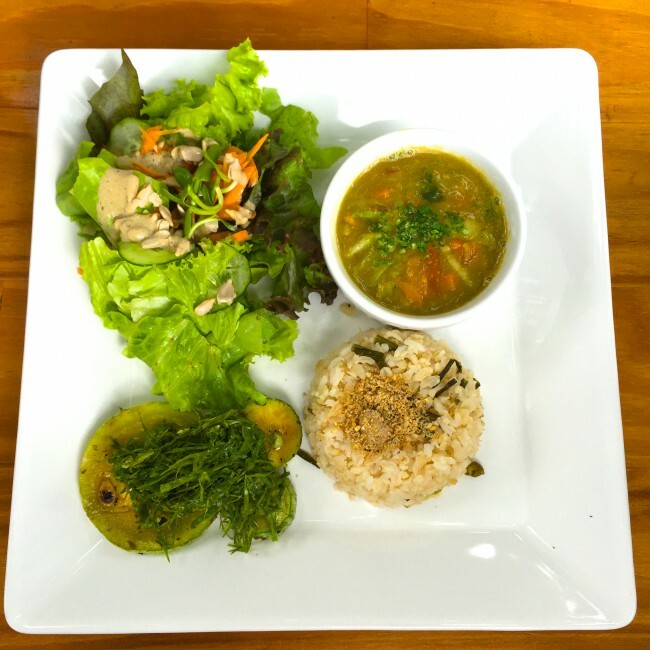 Highly recommended dishes include: avocado smoothie with soy milk, tofu spinach patty, vegan fillet, and creamy vegetable soup. 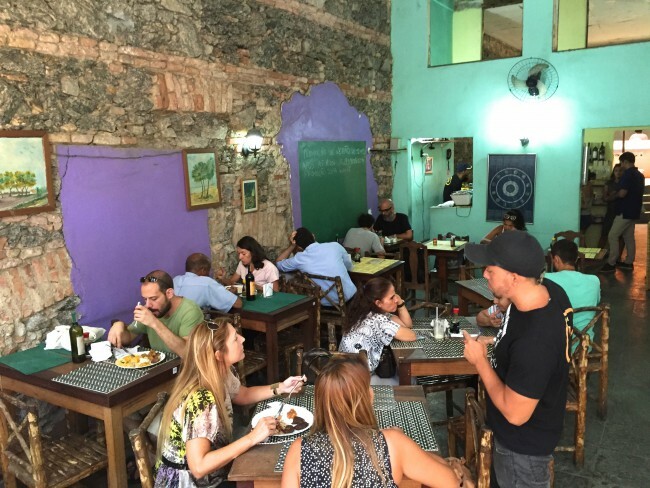 Tempeh is a pay-by-weight buffet style vegan restaurant in Rio’s city center. The restaurant isn’t too small, but gets packed up really quick during lunch hours. 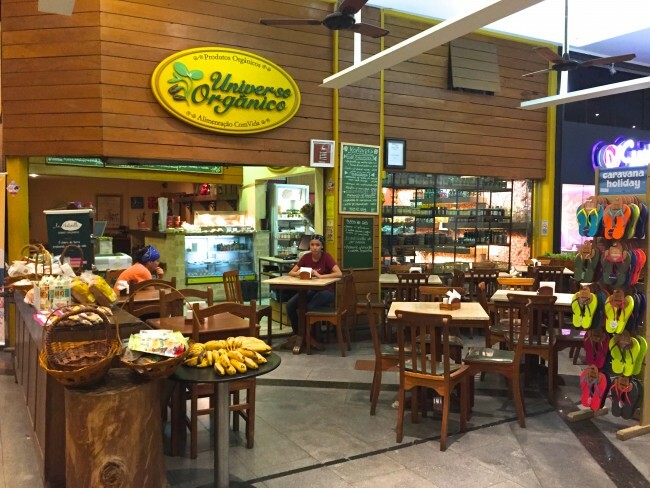 Different dishes are served every day, and vegan snacks, chocolate and ice cream are also available at the cashier. 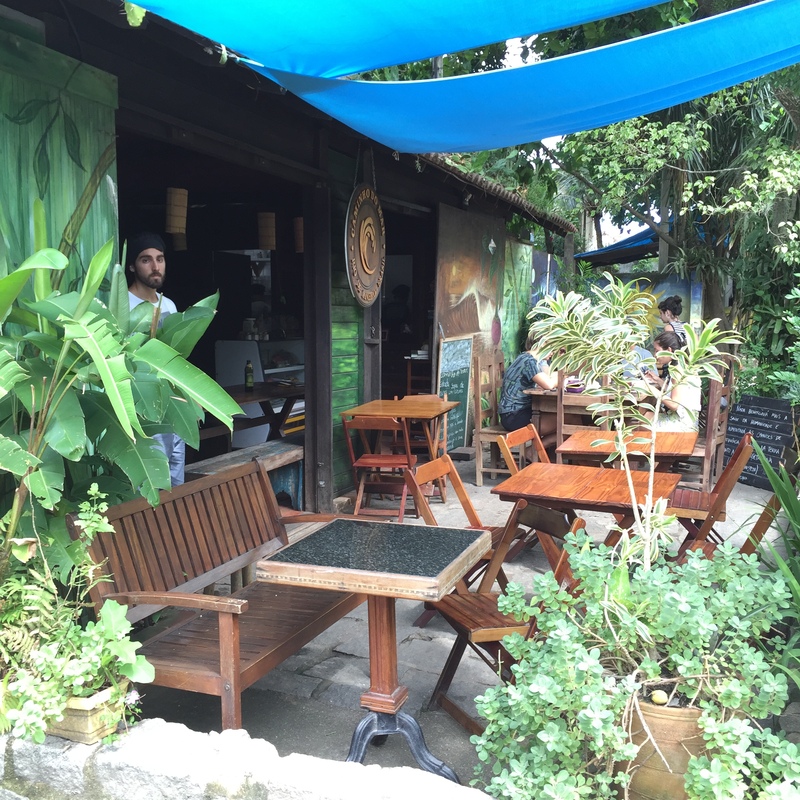 I discovered this fantastic restaurant one day after a sunbath at the nearby Leme Beach. I was pleasantly surprised by its live band and modern interior design, not to mention the amazing food. It’s a relaxing place for enjoying a vegan meal or simply hanging out. 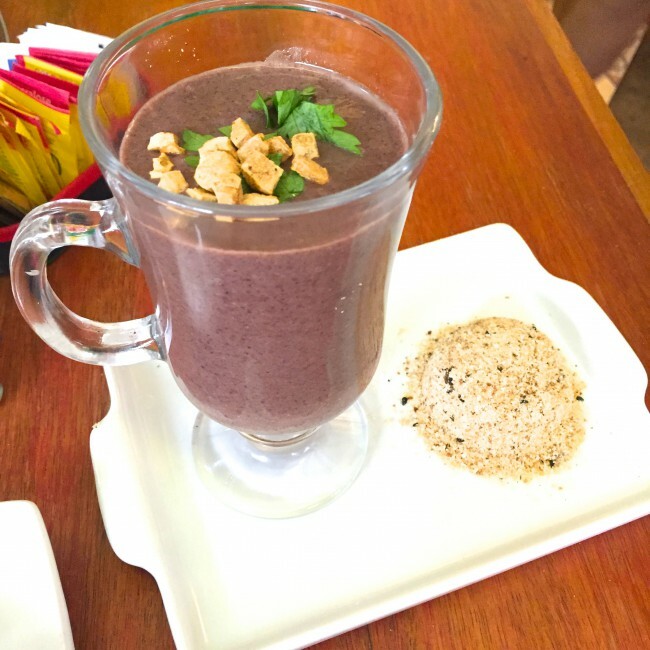 Highly recommended dishes include: quinoa vegan burger and black bean soup. 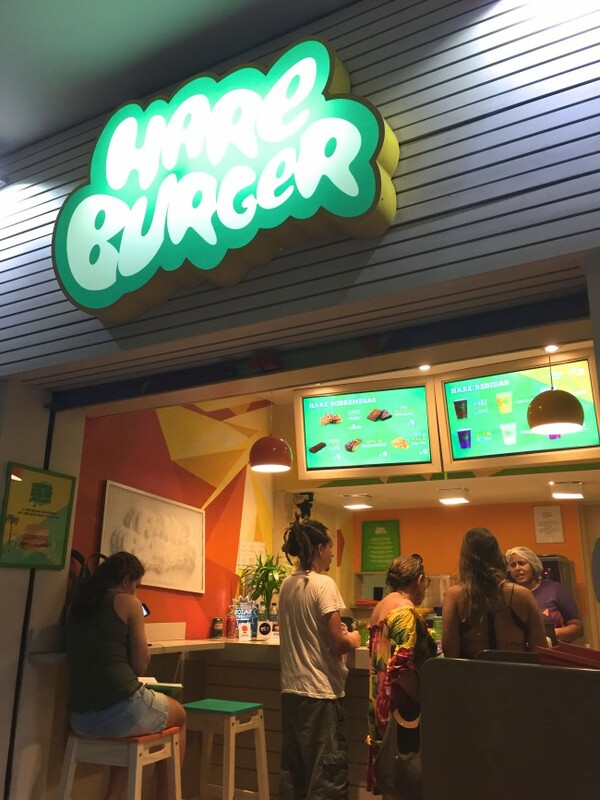 The owner of this chain started out by selling veggie burgers at the beach, but because of its increasing popularity, several stores were opened. All the burgers are vegetarian except for the vegan quinoa burger, and there’re 2 types of vegan salads as well as a vegan chocolate cookie. It’s super yummy! The whole store is designed into a galactic theme, and burgers are named after various planets. For other locations, see its website below. 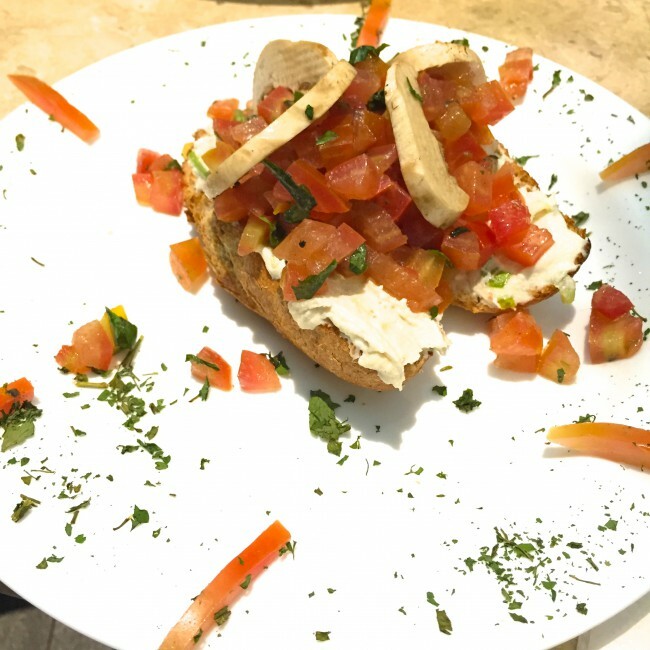 This organic restaurant is known for its super yummy bruschetta and fresh juices, as well as vegan snacks and breakfast options. 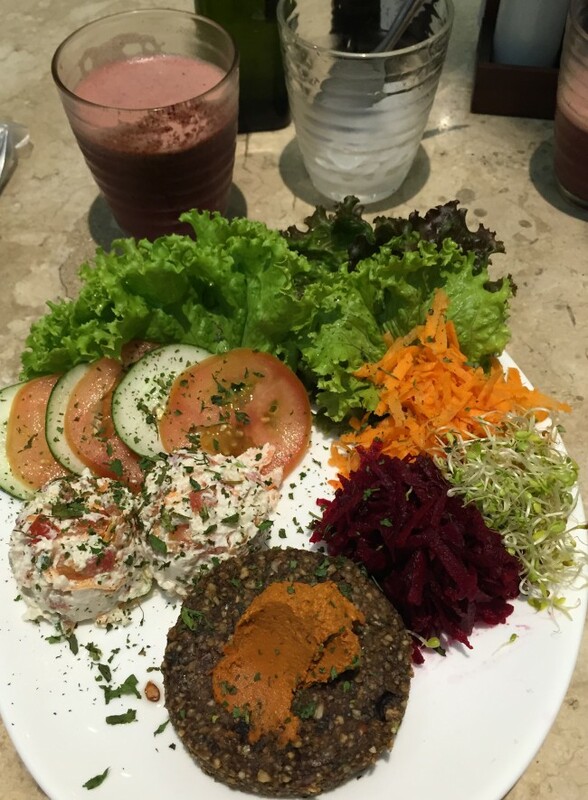 There’s something odd I discovered about vegetarian restaurants in Rio – most of them close in the afternoon and don’t serve dinner. 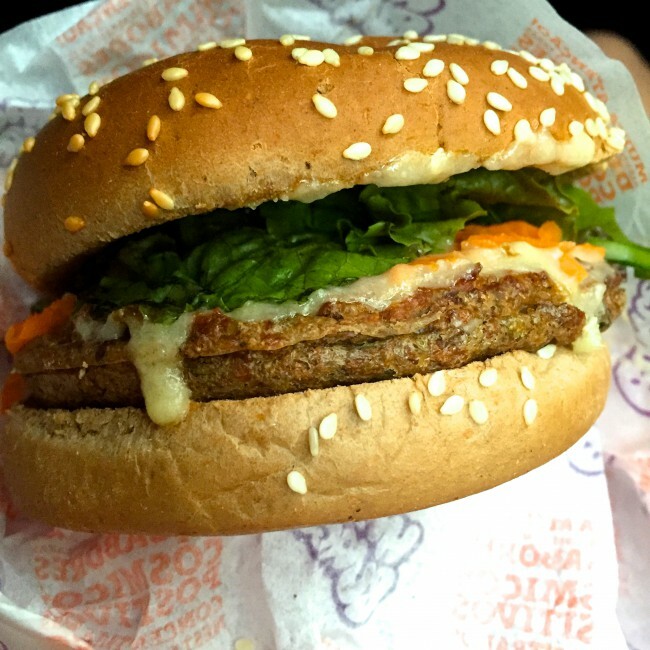 As a result, it’s highly advised that you check vegan travelers’ best friend – Happy Cow – before you set out to any of them. 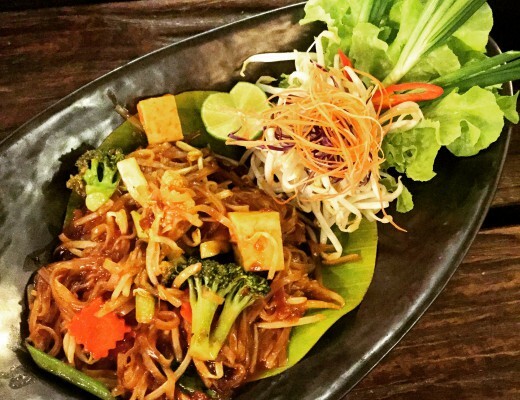 Despite not being vegetarian, the following two restaurants offer many vegan options. 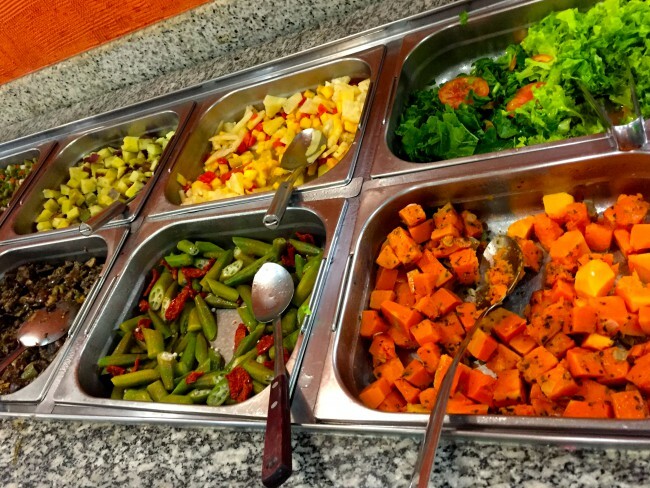 This restaurant is a buffet style salad bar with vegan salads and entrées. The dishes alternate each day and an English menu is available. 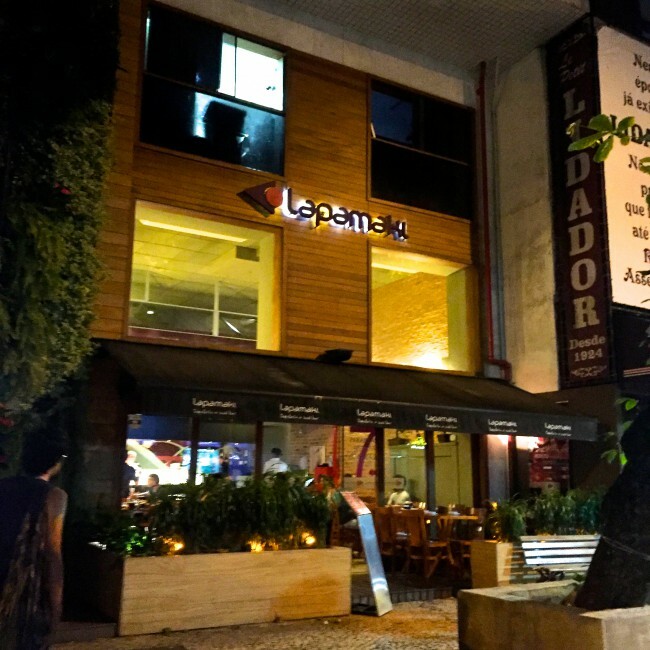 You know business is good at this Japanese gourmet simply by knowing that it has been in the expensive Ipanema area for 7 years! 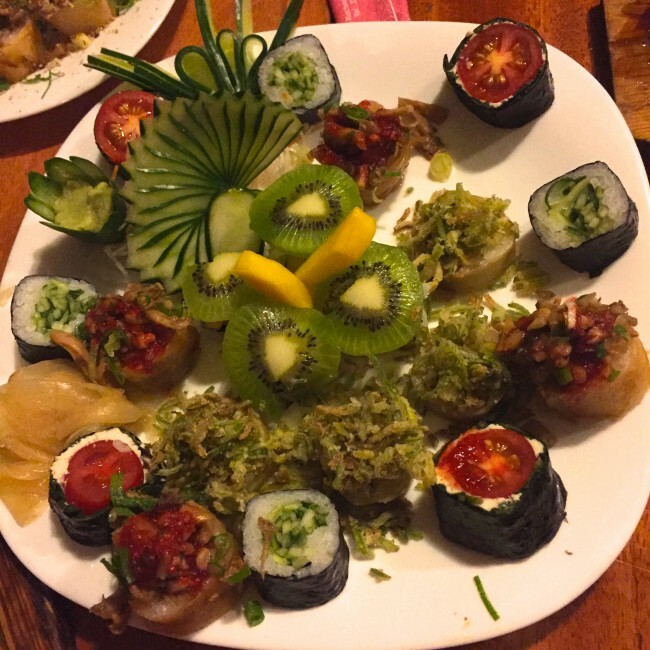 They recently launched a vegan all-you-can-eat menu for anyone who craves vegan Japanese cuisine. Another location is in Copacabana. 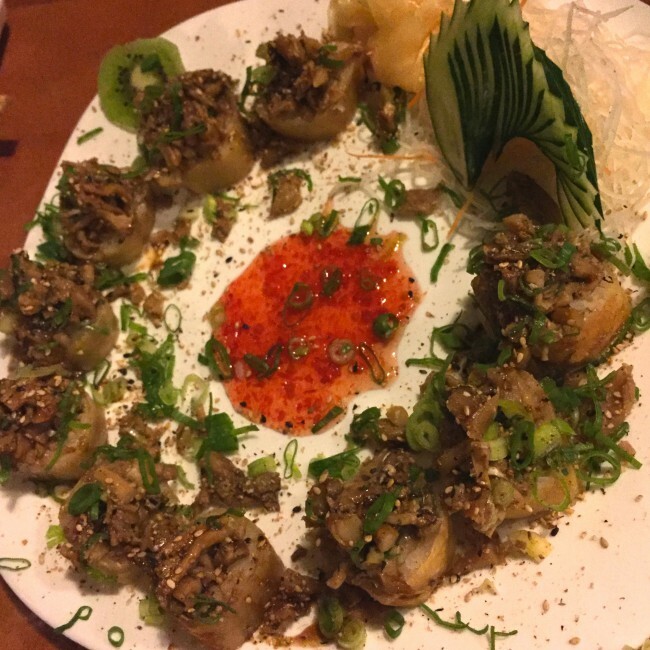 Highly recommended dishes include: zucchini mushroom ramen and assorted vegan sushi. 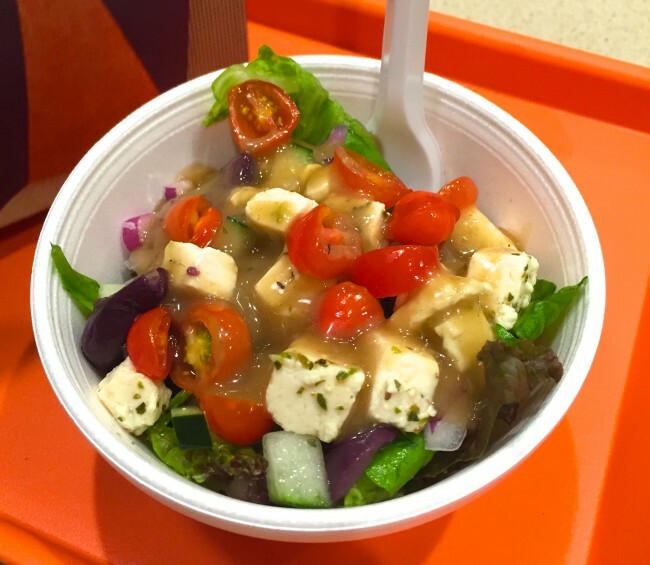 What about vegan options outside of restaurants? Walking around the streets, you’ll often see food carts with a sign that says “tapioca“. 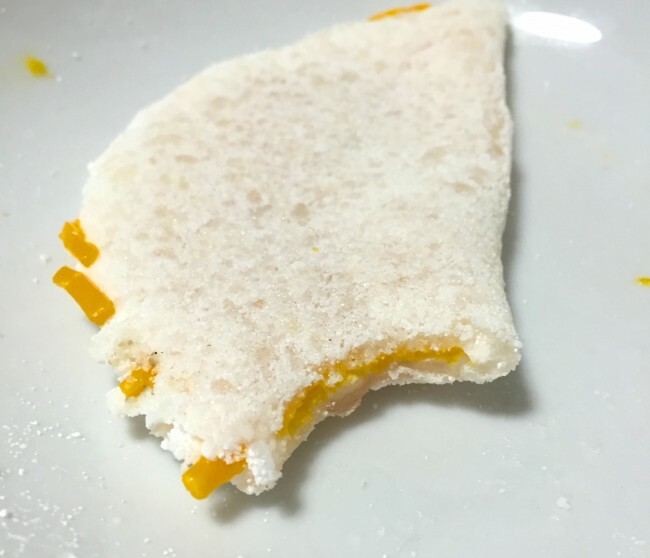 It’s a pancake-type of snack that’s usually vegan if you asked them not to add animal ingredients. Want some tropical flavor? Add fruits. Tapioca is also available at many restaurants. Pastel is a commonly seen snack at bakeries, which is generally vegan with fillings such as eggplant. But better to double check with the staff to make sure they have vegan options. 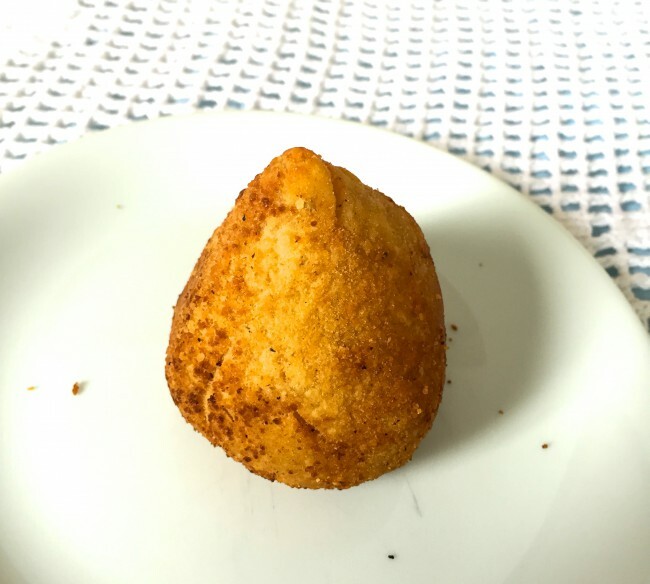 Coxinha is a deep-fried pastry traditionally made with chicken. 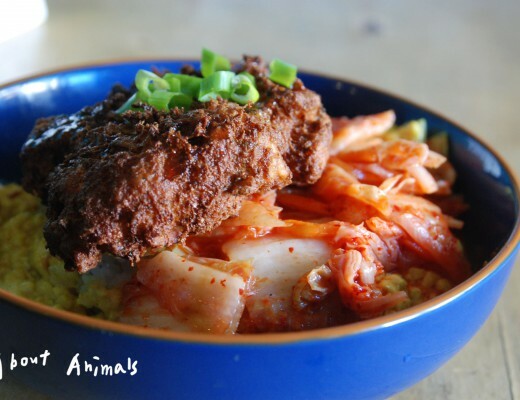 The vegan version uses green and unripe jackfruit instead, which gives it a unique kick. I was dubious at first but easily sold after trying it for the first time. 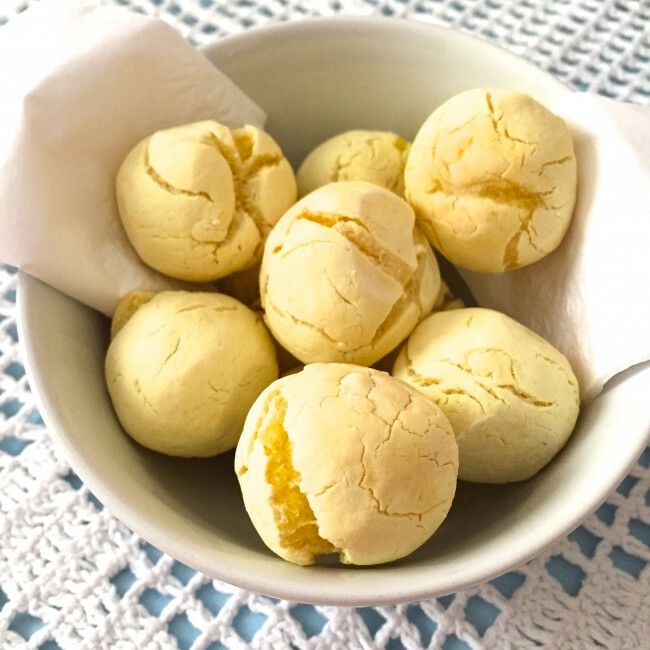 Pão de queijo means “cheese bread” in Portuguese. It’s a bun with a crispy outside and a soft and chewy inside. The vegan version is made with potato, and the combination with vegan butter or jam is just fantastic! 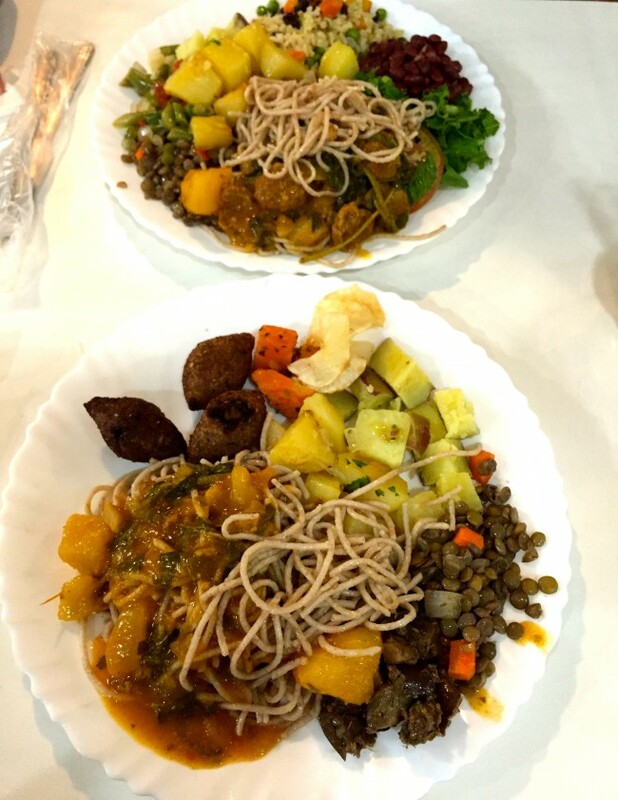 These ones were made by my boyfriend Narayan’s sister Soyan, who is an amazing cook. 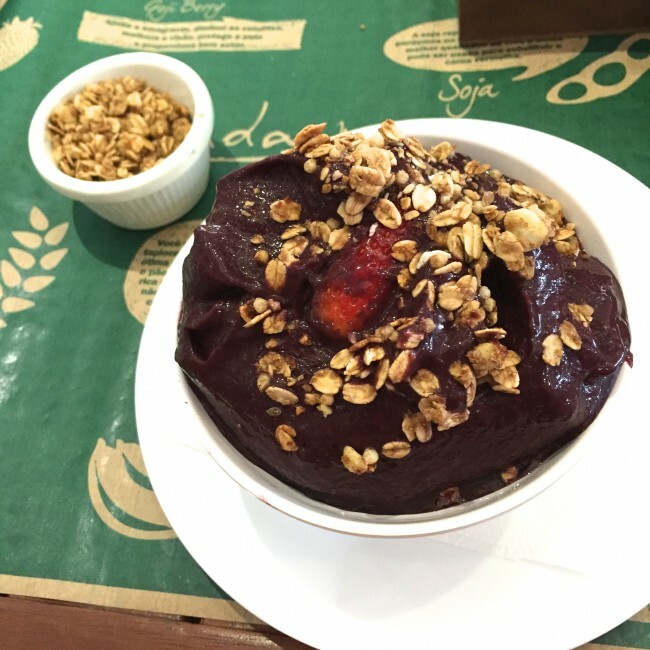 Açaí , also known as Brazilian berry, is a dark colored fruit unique to Brazil with its popularity soaring in recent years. It is often made into a dessert similar to ice cream, and is usually without dairy. 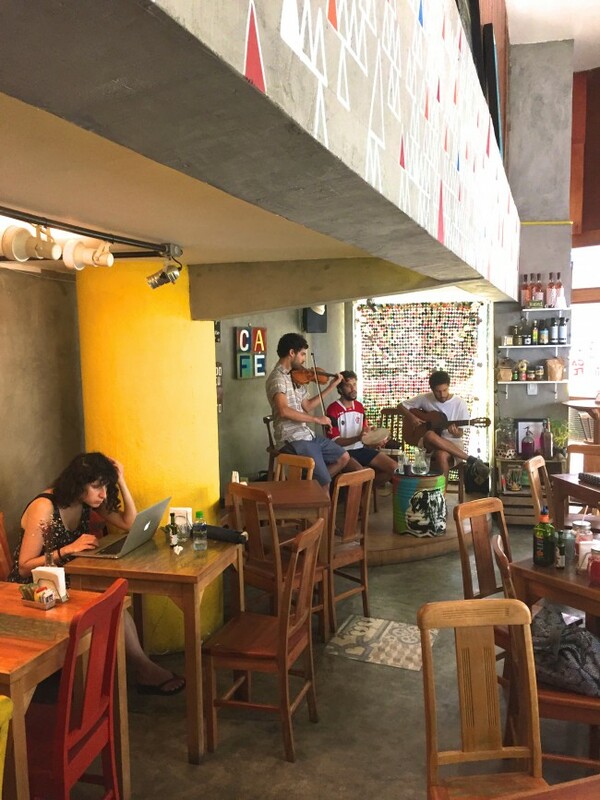 In the mood for a typical carioca day? Devouring a cup of açaí after a sunbath on the beach is the way to go. 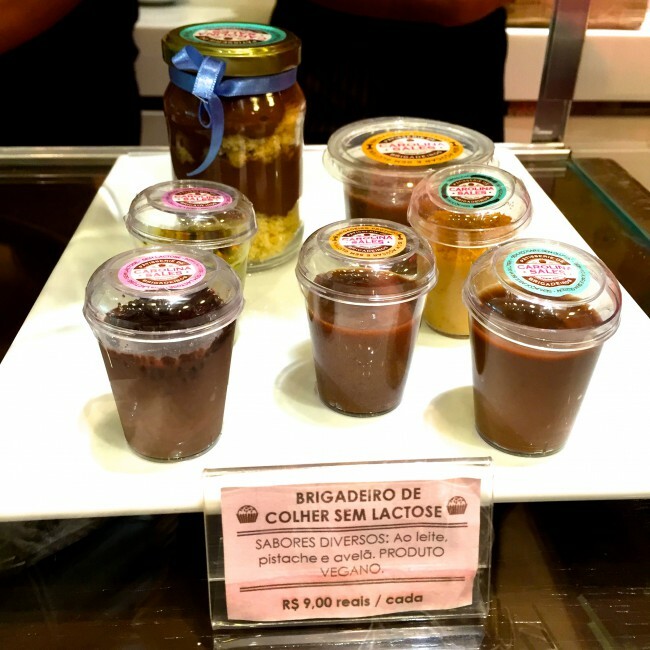 Brigadeiro is a very sweet chocolate dessert with a non-dairy/vegan version. 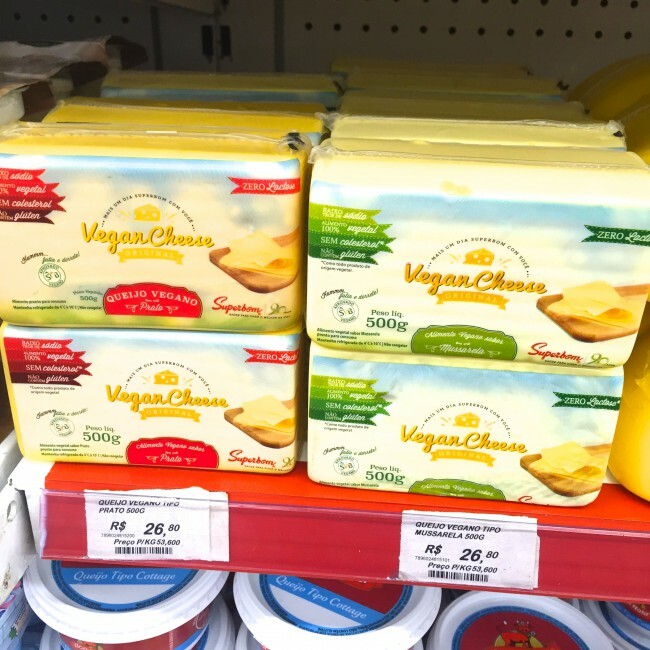 There’s also vegan cheese in chain grocery store Zona Sul. It’s made of potatoes and is suitable for pizza or other dishes. 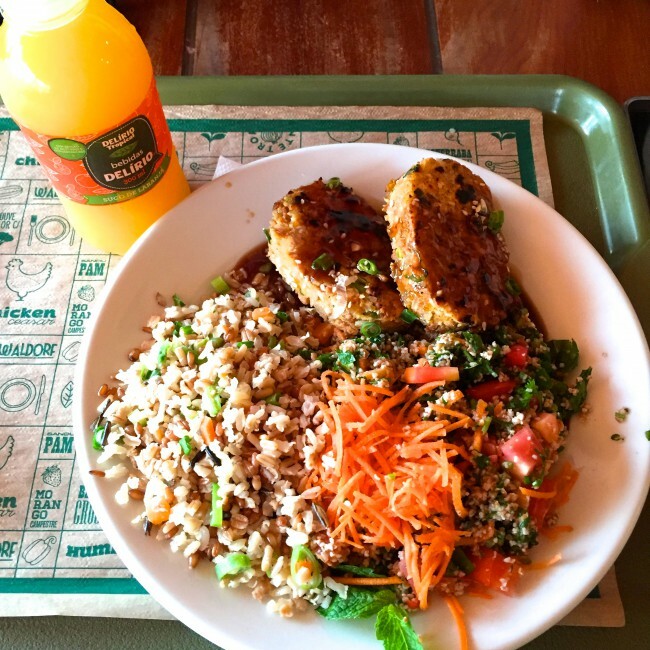 Here in Brazil, people love drinking juice with meals. There’re all kinds of flavors: orange, watermelon, apple, strawberry, grapefruit, etc. And the most carioca of all is pineapple with mint. Try it next time – it’s refreshing. 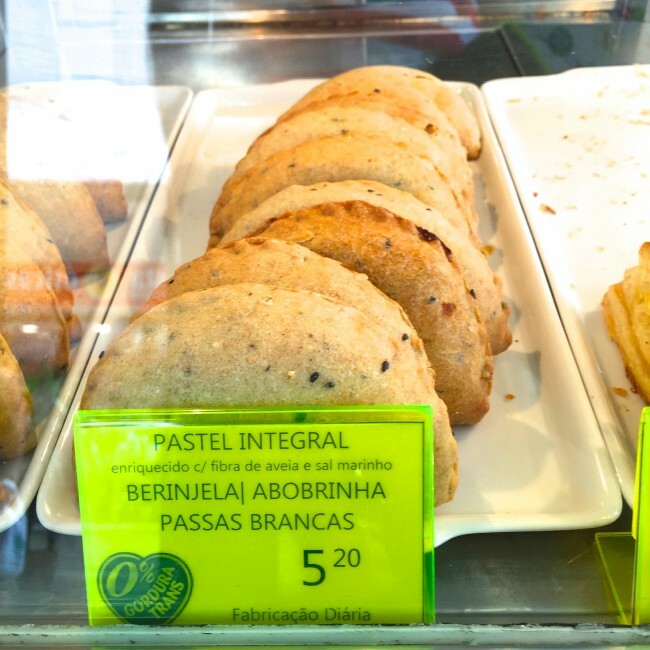 Lastly, a word of advice – if you don’t speak Portuguese, it’s indeed difficult to get things done, let alone explaining what “vegan” means with waiters at non-vegan restaurants. The statement below will hopefully be helpful in case you don’t have a local Brazilian guide. You can also download “The Vegan Passport”, an app that contains a vegan statement in 78 languages that you can show to restaurants when you need.